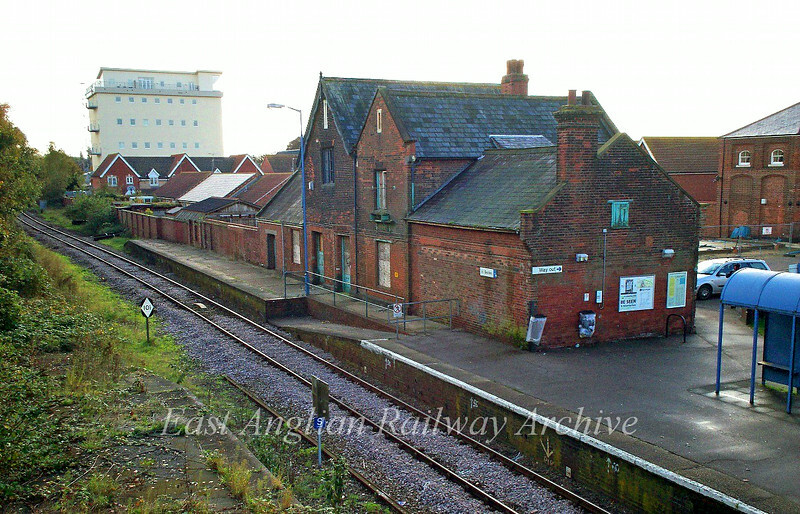 Beccles Station buildings. 1st October 2008. The 101 diamond shaped sign at the left hand side of the track is a channel change marker board to instruct drivers to change radio channels on the Radio Electronic Token Block signalling system. Channel 101 is Transmit from train 197.15 Mhz, Receive on 205.15 Mhz.